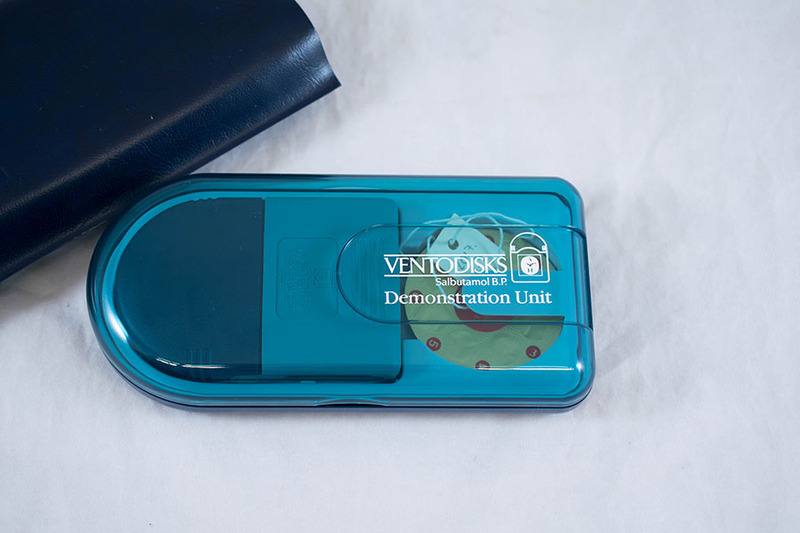 Ventodisk inhaler demonstration unit. 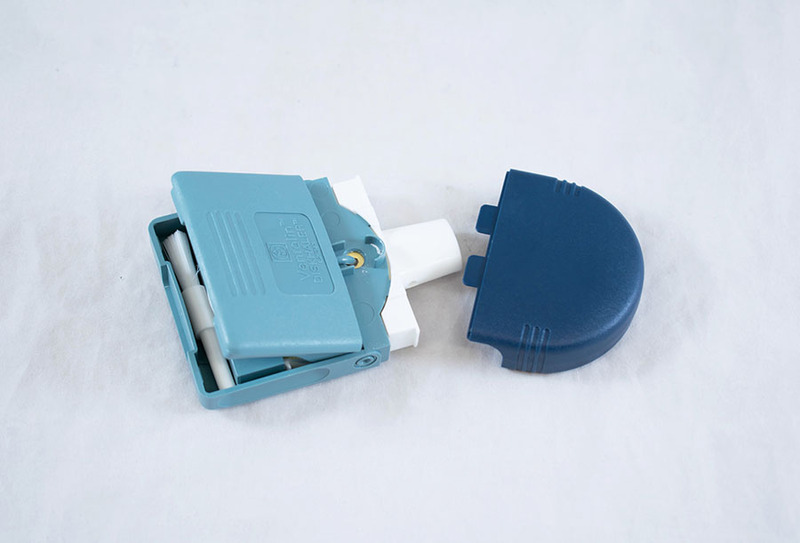 Ventolin (Salbutamol B.P.) 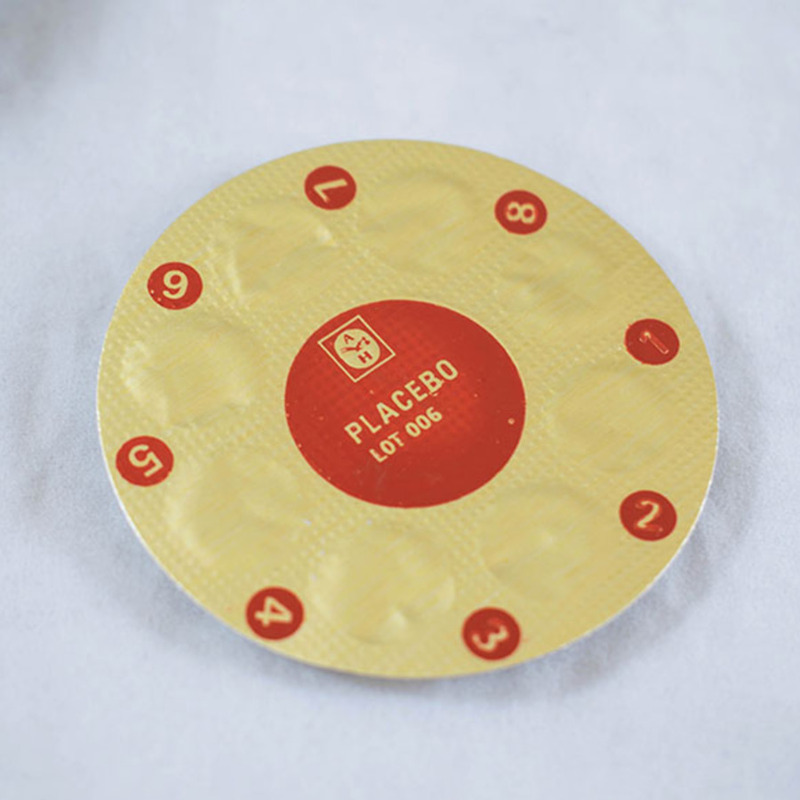 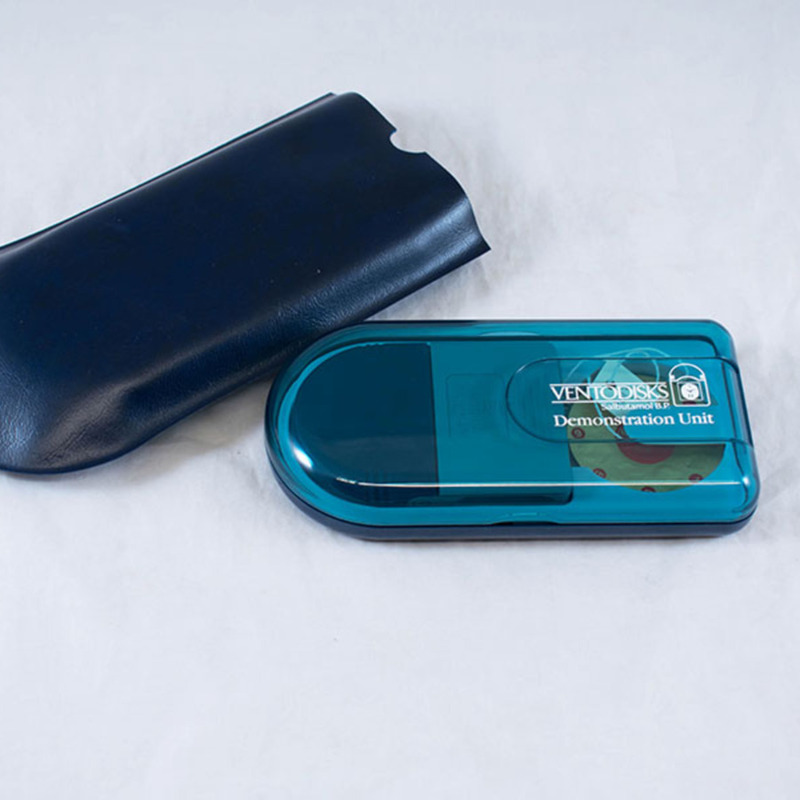 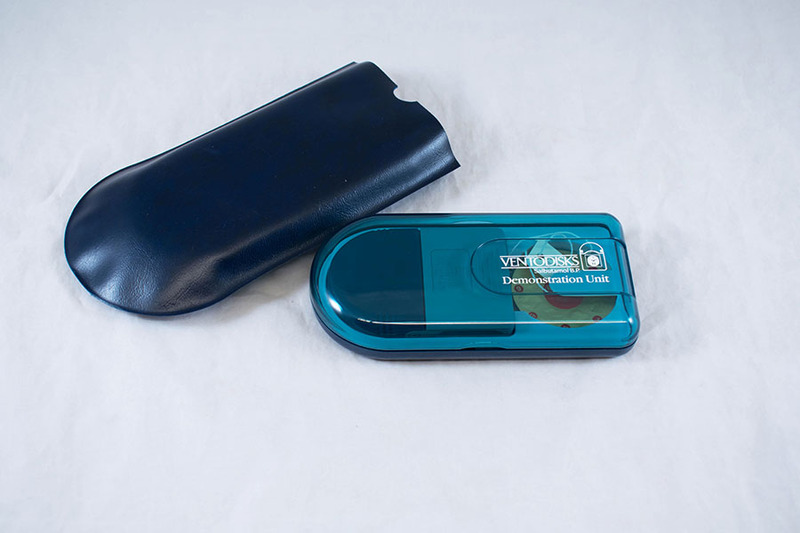 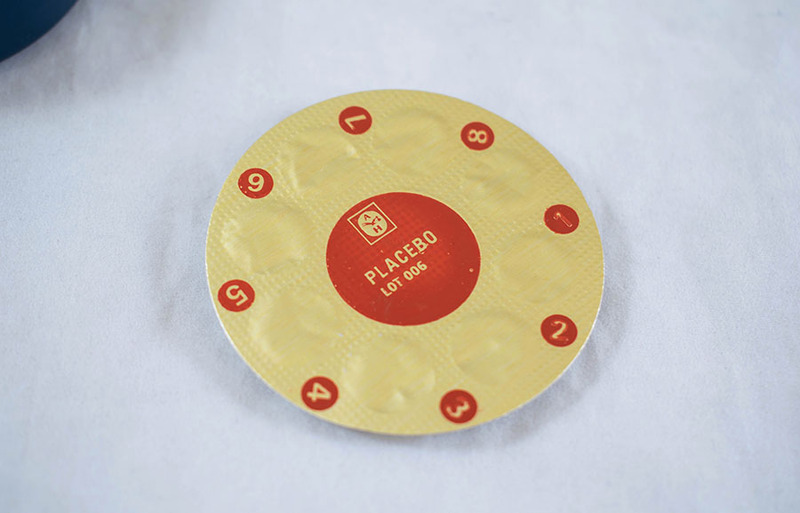 Diskhaler with spare placebo blister pack in plastic case and wallet. 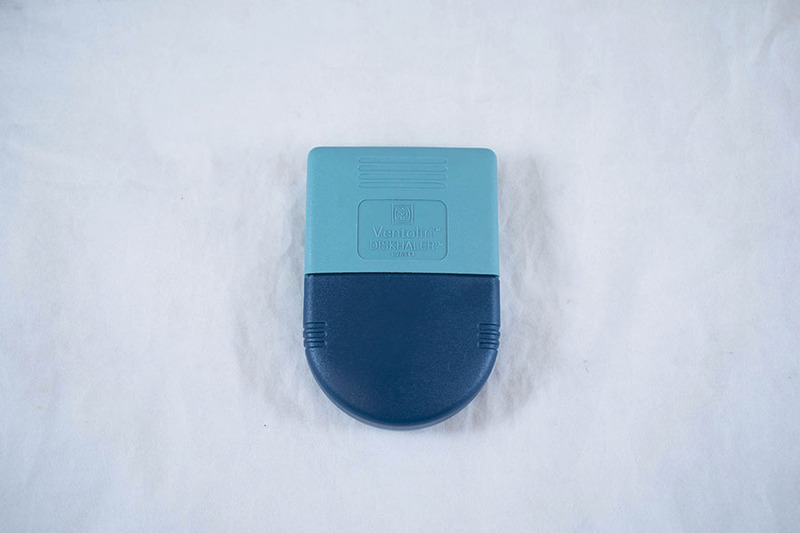 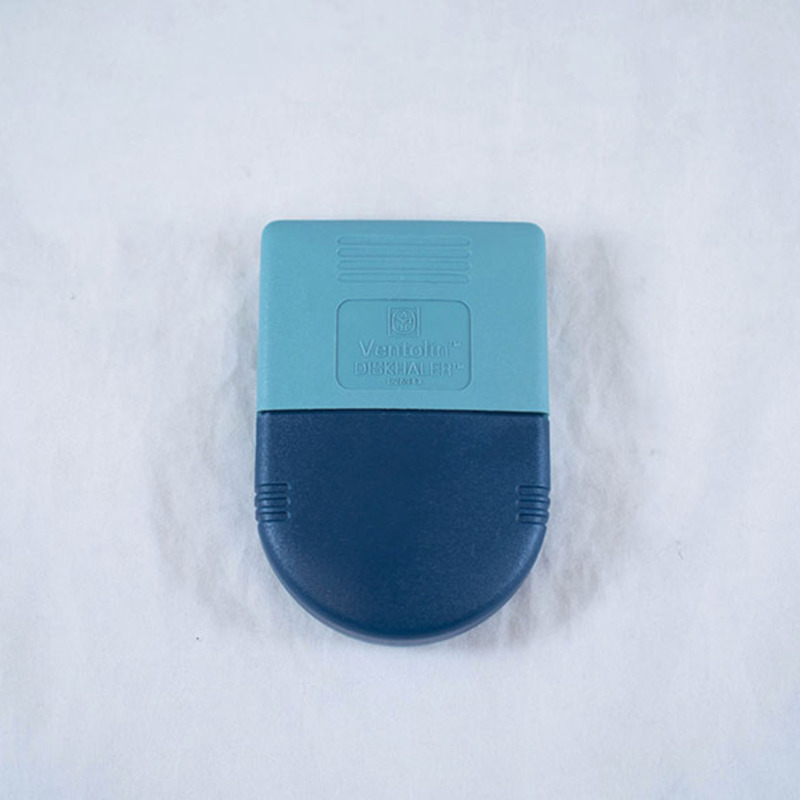 Allen & Hanburys Ltd.; 1856-2013; Pharmaceutical company, “Ventodisk Inhaler,” Heritage, accessed April 20, 2019, https://heritage.rcpsg.ac.uk/items/show/978. 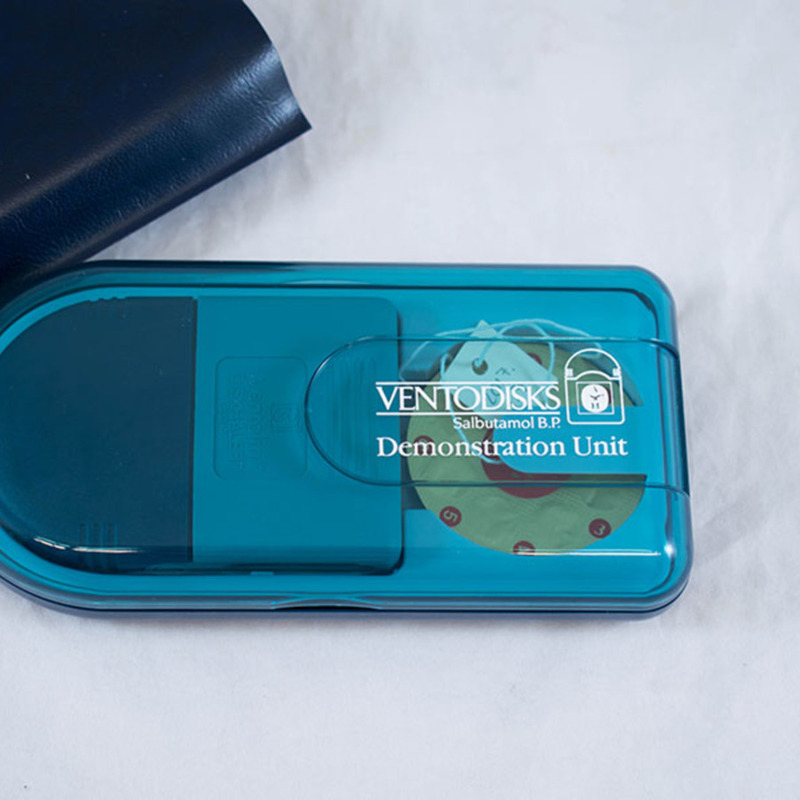 Description: Ventodisk inhaler demonstration unit. 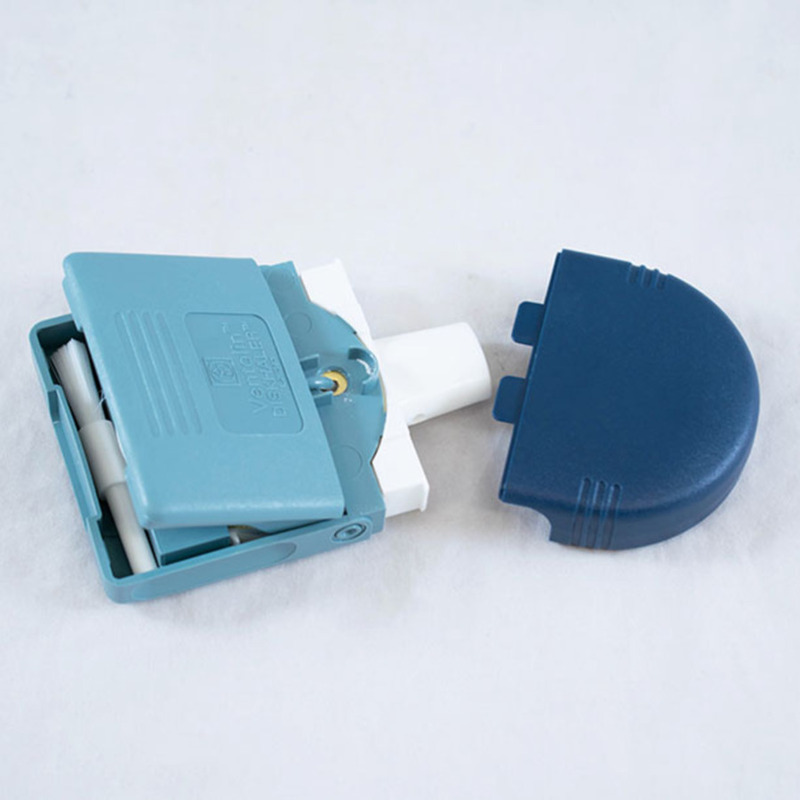 Ventolin (Salbutamol B.P.) 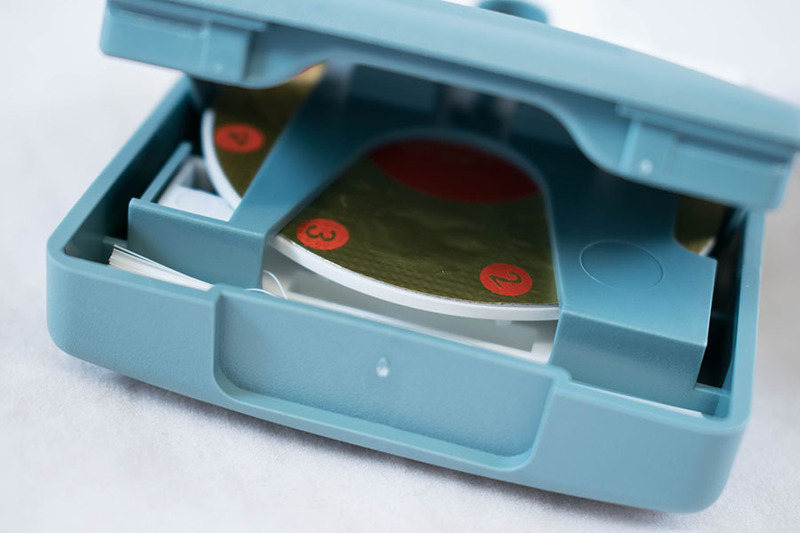 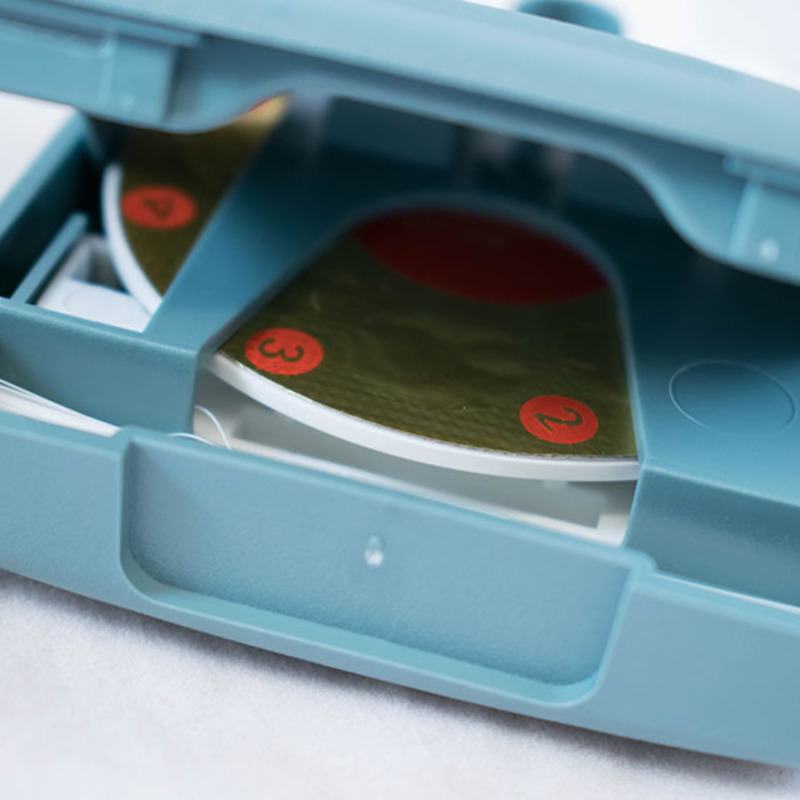 Diskhaler with spare placebo blister pack in plastic case and wallet.